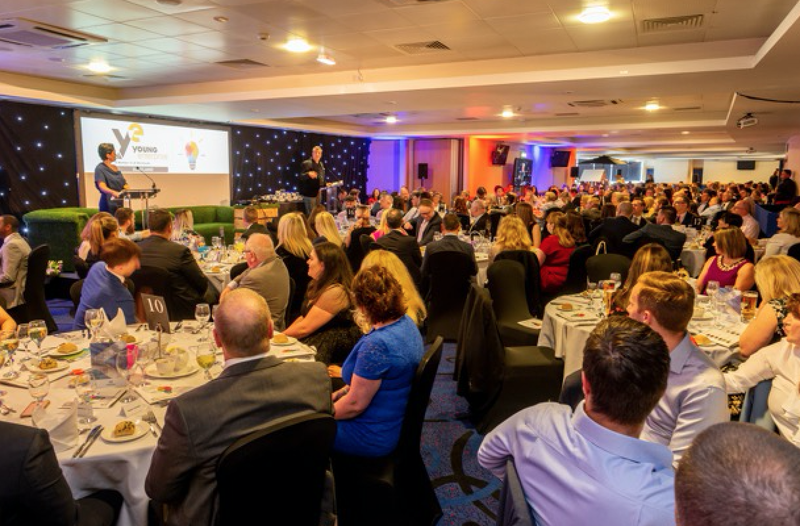 With preparations underway for the Young Enterprise Scotland Can Do Company Programme Awards dinner, it’s easy to get tangled in the excitement of the range of speakers and the sponsors who will be mingling on the night. However, we can’t forget who the real stars of the show are; the Company Programme finalists who will be travelling from far and wide to come together at The Corn Exchange in Edinburgh. From more than 150 companies participating from Shetland, to Fife, to the Scottish Borders – 17 teams of determined young entrepreneurs will continue their journey to be crowned as the Scottish Company of the Year. One of these teams hails from Grove Academy in Tayside. Green Bean Co. swept the board at their regional finals on 26 March at Dundee’s Apex Hotel, beating off the competition from Carnoustie High School, Perth Academy, Websters High School and even another two teams from their own school in Broughty Ferry. Scooping the Tayside Company of the Year, Best Tradestand, Best Presentation, Best Report and Best Marketing the team of five – who have had previous enterprise success after taking part in Business Gateway and Elevators 2015 ‘Jamathon’ and celebrating victory over 20 other teams. Green Bean Co. have identified a need within their community to reduce the number of single use coffee-cups and created a range of multi-use mugs, which when used can trigger a discount at many large retailers across the country. Offering a variety of gift sets with coloured travel mugs, cafetières, jute bags and Fairtrade biscuits, the team have been popular among the local community – popping up at various fares and stalls. Green Bean Co will be great enterprise ambassadors on the 5 June at our Scottish Finals along with the other 16 teams.